scraping technology of hardened box way and the technological capacity of manufacturing process. with a variety of cutting demand are also available. 1. Ø30mm high class double nut provides strong rigidity, high torque, better accuracy, long-life, and effectively heat extension control. 1. The width of door reaches 725mm for conveniently loading and unloading the fixture and workpiece. 1. The gas storage barrel assists to acquire steady air source to increase equipment utility rate. Single central screw type chip auger collocates left and right sides flush toremove the chip from front to back. 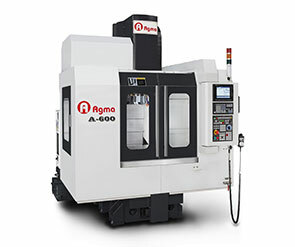 Chip Auger motor shrinks within to reduce the distance of the front sheet metal for ergonomics improvment on the ease of workpieces loading and unloading.